READ THE GRAPHIC NOVEL: Lost childhoods: Nigeria’s fear of ‘witchcraft’ ruins young lives. From a distance, the children look like scarecrows as they slowly scour the waist-high piles of rubbish for plastic bottles. Their ragged clothing hangs loosely from their emaciated frames, their gaunt shrink-wrapped faces are deadened by the drugs they took at dawn. It is hard to believe that these children are “witches”. 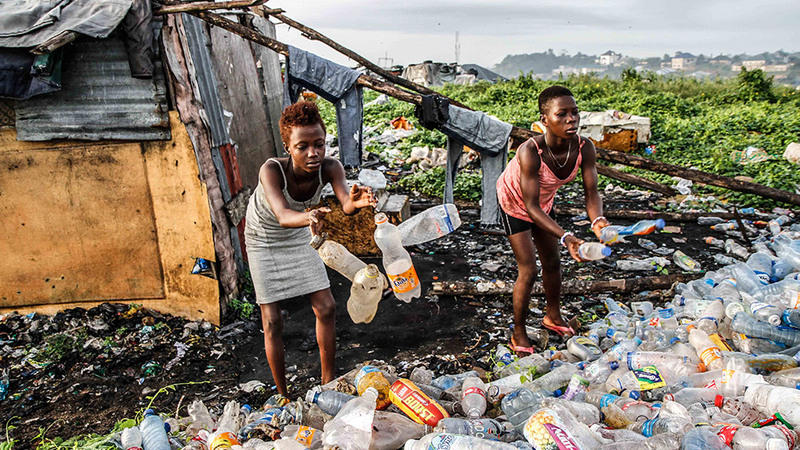 And yet this is exactly why several hundred skolombo – or street children – are now living at the Lemna dumpsite on the outskirts of Calabar in southeastern Nigeria. The 14-year-old boy is sat in the makeshift hut at Lemna that he now calls home. He shares this stuffy wooden hovel with half a dozen other boys who are now outside, smoking the cannabis that will get them through the day. Godbless was taken to the family’s local church where a pastor confirmed his grandmother’s worst fears – he was indeed a witch, the pastor claimed. His relatives demanded he leaves the house, but he refused. Godbless rolls up the leg of his shorts to reveal a long, blackened scar on his upper thigh. Two years after he ran away, Godbless and his gang make money by recycling plastic soda bottles and cans. These are weighed, and if he is lucky, he says, he can make a couple of dollars a week to buy food, clothing and medicine. “When relatives throw these children out of the house, it’s as good as killing the child,” says Adek Bassey. Bassey is a student who helps run Today for Tomorrow – a small Nigerian volunteer organisation that once a week meets the children near the dump to feed them, and address any health concerns. She complains that the state’s Ministry of Sustainable Development and Social Welfare is not doing anything despite apparently having a pot of money with which to tackle the skolombo issue. Bassey alleges she has also received anonymous phone calls after a colleague posted photos on Facebook of their work at the Lemna dump. Her mother has pleaded with Bassey to stop her work, but she has refused to do so. In the Niger Delta, where an extreme form of Christianity has taken root and blended with indigenous beliefs, an alarming number of children have been accused of practising witchcraft with malicious intent. The accusations have created a generation of outcasts who live at the mercy of a system ill-equipped to protect them. It is a relatively recent phenomenon that exploded across the region in the 1990s, fuelled partly by popular films and self-professed prophets looking to manipulate people’s fears to make a quick buck. The epicentre of these accusations is in Nigeria’s southwestern states of Akwa Ibom and Cross River. 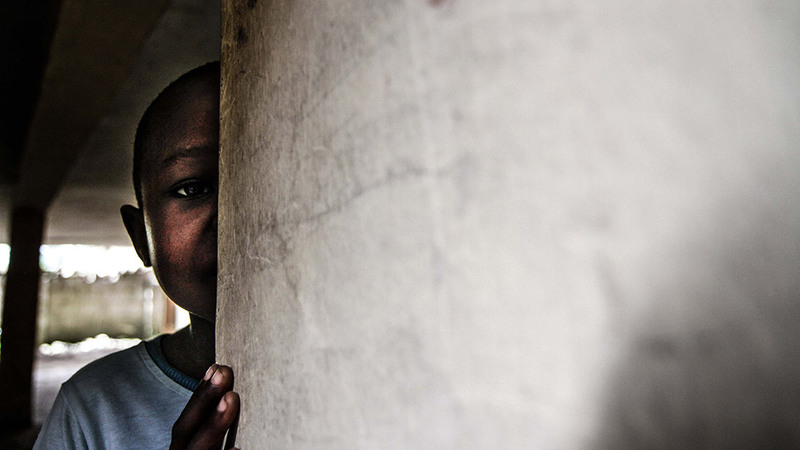 A report in 2008 estimated that 15,000 children in these two states had been accused. And while there is no definitive figure for the number of skolombo in Calabar, a 2010 survey found that in one region of Akwa Ibom state, 85 percent of street children like Godbless had been accused of witchcraft. The consequences for many of them were severe. Children and babies who have been branded as witches have been chained up, starved, beaten, and even set on fire. Cases of parents attempting to behead their children with saws have also been reported. These accusers typically use witchcraft as a means to scapegoat vulnerable children for acts ranging from unruly behaviour and absenteeism from school to a failed harvest or mechanical problems with the family motorbike. 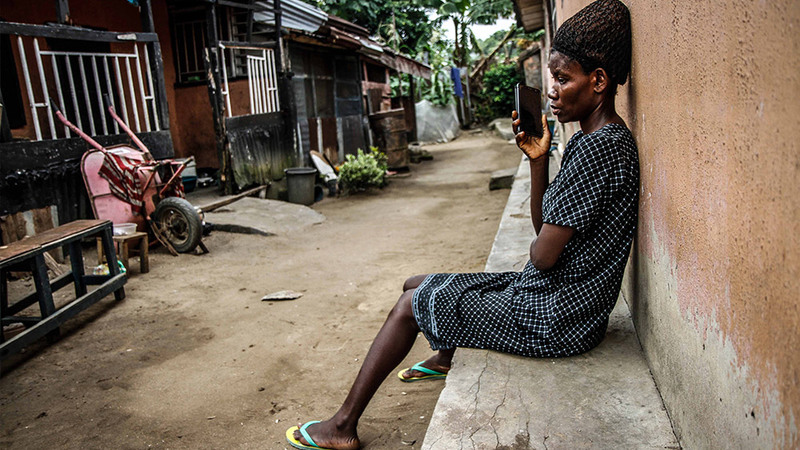 Ibor, who runs a local organisation in Calabar called Basic Rights Counsel Initiative (BRCI), says both the country’s criminal code and 2003 Child Rights Act outlaw not only degrading treatment but even accusing someone of being a witch. But only about three-quarters of Nigeria’s states have domesticated the federal version of the Child Rights Act, and to date, only the state of Akwa Ibom has included specific provisions concerning the abuse of alleged child witches. Their 2008 law made witch-branding punishable by a custodial sentence of up to 10 years. And 10 years on, courts have yet to successfully prosecute a single perpetrator. Ibor says his state of Cross River has not amended its own domestic version of the Child Rights Act to explicitly criminalise witch-branding. But Oliver Orok, the minister of sustainable development and social welfare, says his ministry is working with UNICEF to address this legislative shortcoming. The Calabar lawyer blames this partly on a lack of political will but says the lack of action primarily boils down to a lack of resources. Ibor also claims police often fail to act because they believe in witches, and outing them. The lawyer gives an example of three children aged between seven and 13 who were recently branded as witches by their father. He locked them up in a poorly ventilated storeroom without food for several days. Ibor claims police have taken no action against the father despite the case having been reported late in May. And in another recent episode, a man who accused his three-year-old of being a witch before giving her second-degree burns was released by a court despite confessing to the crime. The lawyer’s organisation BRCI specialises in legal cases concerning child rights abuse and runs a safe house for children accused of witchcraft. Resources are a problem for Ibor’s organisation, which partly relies on volunteers. Lack of staff results in a triaging of reported cases, with only the most serious complaints being investigated. Ibor is disappointed that the Ministry of Sustainable Development and Social Welfare recently asked him for 20,000 nairas ($55) to approve their shelter – an initiative he feels they should be funding. Cases have also stalled for years due to suspects absconding when on bail, or the mandatory number of court assessors not turning up in protest over several months’ unpaid wages. Ibor believes the failure to convict anyone so far will lead people to believe they can make accusations and attack children with impunity. He blames the so-called “propheteers” – or religious conmen – for manipulating people’s fears of the supernatural. In the Niger Delta – a particularly poor part of Nigeria where the average daily wage is little more than a dollar – congregants are more likely to swallow prophecies that explain their hand-to-mouth existence and ill fortune. “Nigeria is one of the worst places to raise children because of the so-called religions of peace which are responsible for 80 percent of our problems,” says Ibor. “Being Christians ourselves we felt we could challenge people’s belief in witchcraft,” she says. “For, we believe in God just like they do, but we do not believe that the Bible was written to be used to hurt people. Pentecostalism spread throughout Nigeria in the 1970s. The Niger Delta region is said to have more places of worship per square mile than anywhere else on earth. This form of Christianity adopts the idea that if you are not successful in life, then pernicious entities may be the cause. Such a belief system should not be dismissed as antiquated African superstition – pentecostal churches also operate within the United States and the United Kingdom. Indeed, these Nigerian Pentecostal leaders have emulated their American televangelist counterparts. 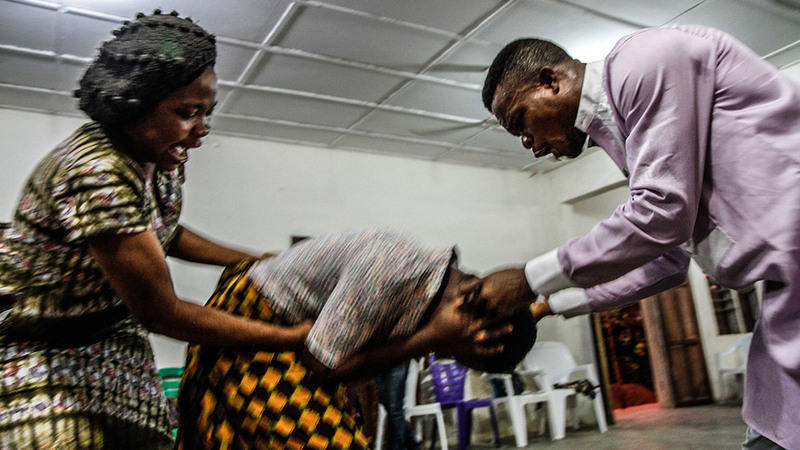 Many Pentecostal churches in the Niger Delta offer to deliver people from witchcraft and possession – albeit for a fee. Joy is one of those people. Like a boxer on the ropes, she raises her trembling hands to protect her face. Three pastors surround the young girl and take turns slapping her head, pinching her earlobes and stomach. The 15-year-old has been accused of being a witch, and tonight she has been brought to a ministry in Calabar for an exorcism. One of the pastors clutches the iridescent sarong tightly knotted behind the child’s back. It acts as an anchor to keep her from getting away and ensure she does not hurt herself. One child, undergoing a simultaneous deliverance, has already knocked over the church’s glass lectern this evening. “Your clothes are on fire, your head is on fire, your belly is on fire,” the pastors yell in Joy’s face as they twirl her around the church hall. Joy tries to twist free, but there is no escape. It is Pastor Eunice Emmanuel who had identified the four children – the youngest is eight years old – to be exorcised this evening. “God helps me identify the kids that are possessed,” she explains before the evening’s deliverance begins. “We then conduct deliverance on them whereby the evil spirits that dwell in them, leave them, and the children become new creatures. Pastor Eunice says a deliverance can last up to 10, 20 or even more minutes, depending on the type and strength of the possession or witchcraft. But in Joy’s case, it is over half an hour before the spirit within her is compelled to speak. Pastor Eunice asks the spirit what she has made the girl do. “Destroy,” it says, according to Joy. Joy is doubled over, hands over her face, crying. The “spirit” is peppered with further questions by the pastor. “I have destroyed one person,” Joy finally cries. Only when the child finally collapses onto the floor is the deliverance considered a success. As she lies in a motionless heap on the floor, alone, the group of pastors look down at her grinning. Many prophets in Calabar can charge up to a year’s wages – over $500 – to perform such a ceremony. She adds however that the ministry does welcome tokens of “appreciation” to help pay for generator fuel and rent. But lawyer James Ibor says this is the exception and not the rule. “It is backward that in the 21st Century churches are set up for economic reasons but they are spreading wickedness and ignorance,” he says. But minister Oliver Orok says that “currently the state government is not aware of such issues”. Ibor says that to date the government has yet to investigate several churches recently brought to their attention and Orok ignored repeated requests for updates on these investigations. Ebe Ukara, a desk officer for the Child Rights Implementation Committee in Akamkpa, adds however that not all churches are out to hoodwink their congregants. Ukara says that 60 percent of the child abuse cases that cross her desk are witchcraft-related and often prompted by a pastor’s declaration. She claims that a profit has been made by scapegoating children, easy and vulnerable targets to blame. It is perhaps unfair to place all the blame for this epidemic of child witchcraft allegations on Pentecostal churches. As with the assassination of JFK, and the falling of the Twin Towers on 9/11, it seems many still remember where and when they first saw End of the Wicked. For Patience Itoro it was in 2001 in the town of Eket in Akwa Ibom state. 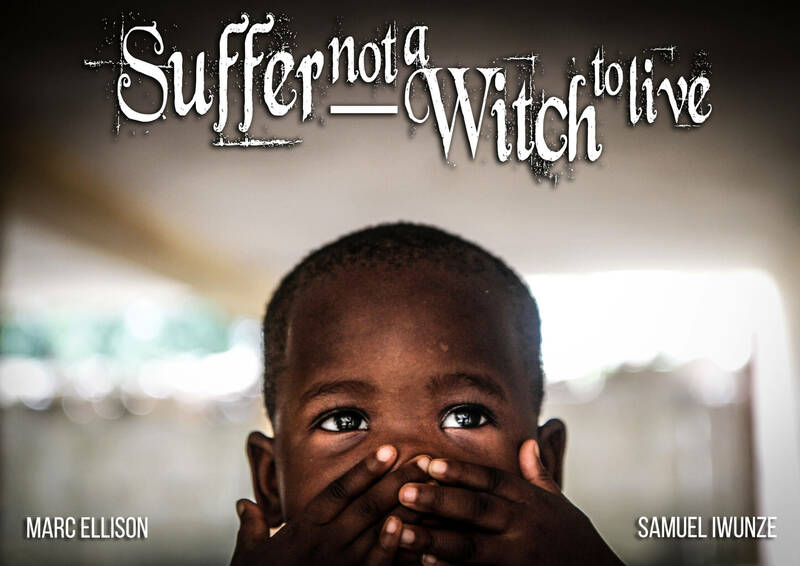 The film focuses on the Amadi family which is living with the father’s mother – who we find out is a witch in a coven. Amadi’s children end up joining the cult, and in the movie are shown eating human flesh and plotting to murder their parents. In another scene, the children laugh as a man’s eyes are gouged out. Produced by the Liberty Gospel Church, the 1999 film also starred the church’s leader Helen Ukpabio as the pastor who ends up heroically exposing and destroying the witches. The film was hugely controversial and at the time was blamed for the surge in witchcraft accusations against children in the 1990s and 2000s. The movie has been criticised for blurring the line between fact and fiction. But Itoro says she knows better. Three of her neighbours who are sat around the courtyard say they have heard about the movie but have yet to see it. When offered the chance to watch a clip they are curious. They huddle around the laptop, and tut and grimace as they witness the actions of the child witches in the film. Sat next to her, Esther Friday says she’s now confused. “I don’t know whether that was real, or acting,” she says. Peter Itoro says it is proof that such things can happen in the world. And now his wife Patience has changed her mind. Known colloquially as Nollywood, the Nigerian film industry is second only to Bollywood in terms of the number of films it pumps out year after year. These most common themes are romance, comedy and the so-called “hallelujah” category – films with strong religious messages. Nigerians have criticised the industry for proliferating negative stereotypes about the continent – including the focus on witchcraft. But paradoxically one of the main reasons for the films’ popularity is that they provide a platform for Africans to tell their own stories. 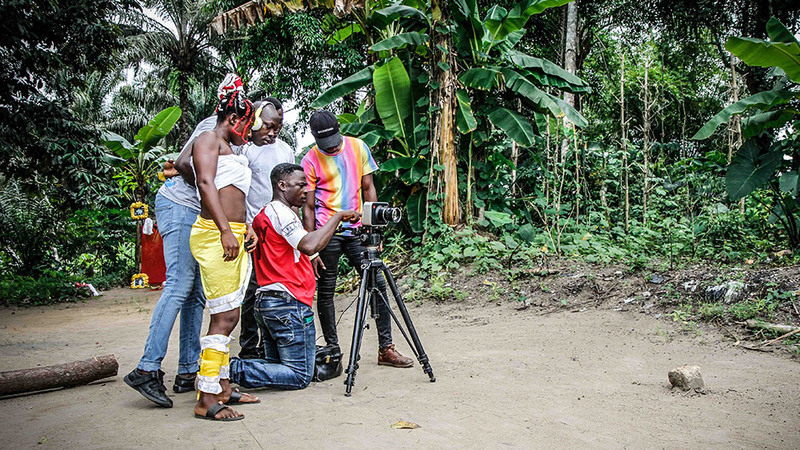 One Nollywood producer, Orok Atim, says that however “negative” the theme of witchcraft may be, this is an issue that affects the lives of Nigerians – so they expect to encounter them when watching Nigerian films. His next movie will be about a deceased friend’s experience of the supernatural. “Witchcraft exists in our society today,” he says. “People want to see what they know, to hear what they know, they want to feel and actually understand. Atim maintains that his movies allow Nigerian audiences to face their fears. “[It is actually the] churches today are using that witchcraft to deceive some families, destroy some children, and using it as a means of extortion,” he says. Basil Ngene, a film producer and video shop owner in Calabar, said the film industry was not to blame. He says that he knows that witchcraft is real because he read about it in the Bible. Ngene also challenges the Western notion that it is only “gullible” Nigerians who believe in, and are fascinated by, the supernatural. But Ebe Ukara believes that rather than reflecting culture, these movies are creating a new one. “Movies today are teaching a lot of things that were never practised before,” she says. And James Ibor argues it was movies like End of the Wicked that not only popularised the notion that children could be witches, but that people could easily become witches by eating tainted food. Whatever is behind these beliefs, children like Godbless can attest to one thing: once you’re on the streets, it is hard to go back. However while many have fallen through the cracks, there are people fighting for them. A handful of Nigerian organisations like BRCI and Way to Nations attempt to do more than just rescue those accused of witchcraft – they try to reunite them with the very relatives who have ostracised them. But their efforts are rarely successful, even with extended family members. Emmanuel has been at BRCI’s emergency shelter since December 2017. The nine-year-old was kicked out of his stepfather’s house after having been accused of witchcraft at his local church. His stepfather, Udong Umoren, threatened to kill him with a machete should he try and come home. He slept rough for several months before BRCI took him in. The organisation says it had to pay the police 5,000 nairas ($14) to arrest the stepfather, but he is now out on bail. Attempts to reunite Emmanuel with his family have been fruitless. Udong recently fled, mistaking BRCI staff for police officers. Despite being against her child being thrown out onto the streets, Emmanuel’s mother, Theresa Umoren, tipped Udong off. “My son sleeps in the road and I’m not happy about it,” Theresa said. “But I must respect my husband because of our other children. Theresa’s inner turmoil is evident when she gets to speak to Emmanuel on the phone for the first time in five months. Across the state line in Akwa Ibom, Jehu Tom has had a little more luck. The Way to Nations staff member has managed to track down the grandmother of a child living at their safe house in Eket – and she has agreed to talk about Precious. The seven-year-old was abandoned at a Mobil petrol station in Eket, where he lived for a month. The grandmother had been forced to take the boy in when both his parents died and blamed her subsequent ill-health on Precious. But even getting to this stage has been a challenge – the organisation’s vehicle has been unreliable and fuel here is expensive. When they are able to locate Mercy Campbell, Tom brings Precious with him to see his grandmother. It is an odd reunion; there are no hugs, greetings, or even a smile. Tom insists that Precious sit beside his grandmother. He acquiesces, clearly unhappy to do so, but sits at the opposite end of the wooden bench. Tom asks her why she thought her grandson was a witch. Campbell adds that he also used to play truant from school, and that he would sing strange songs at home. “They say actions speak louder than words – even though I don’t believe in witchcraft,” she adds hastily. Tom explains that the right place for Precious is not at the safe house, but with family. But Campbell says she cannot afford to take him back. Tom asks what she feels when she looks at Precious. Love? Fear? Sadness? The grandmother seems to find it difficult to answer. Thinking she has not heard him, Tom asks the question a second time. “I do not hate him,” Campbell says finally. Names of the children have been changed to protect their identities. This article was made possible by funding from the Pulitzer Center on Crisis Reporting. Why Is the Golf World so Scared of Bryson DeChambeau?